Famed photographer Derry Moore and renowned interior designer David Mlinaric offer a panoramic tour inside some of Britain's finest manor houses, halls, castles, and public buildings. Bridging five centuries, this lavishly illustrated book looks at houses such as Haddon Hall, Chastleton, and Knole, each with superb examples of Tudor and Stuart interiors. 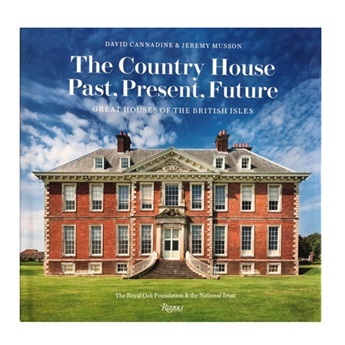 Including Houghton Hall from the 18th-century and Waddesdon Manor from the 19th-century, the book continues into the 20th century to feature the homes of such influential figures as Nancy Lancaster, Pauline de Rothschild, and David Hicks, guiding readers through the finest examples of English interior design. The work of British masters including Inigo Jones, William Kent, and Robert Adam is beautifully portrayed in striking photographs while complementary essays enlighten readers on the events and personalities that lend each site cultural significance. 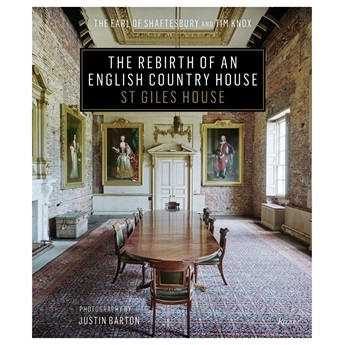 Anglophiles, armchair tourists, and lovers of grand interiors will enjoy these gorgeous photographs while discovering more about the designers, architects, and trends that have made British style so alluring and enduring over the centuries.